Book Alicante Airport Shared Shuttle trasnfers to and from Playa Flamenca departing and dropping off from the Bus Stop on the roundabout opposite Mercadona. From 20€ per person. Daily service from South Connect Shuttle by minibus or coach and available all year 7 days a week for transfers to or from Alicante airport: Shuttle Times: WINTER From November 1st until March 31st for flights arriving or departing between 08:00 and 22:00. SUMMER From April 1st until October 31st for flights arriving or departing between 08:00 until 00:00. For a private (taxi) service available to private addresses please book with Alicante Private Transfers. Playa Flamenca fare starts from 80€ each way including up to 4 passengers. 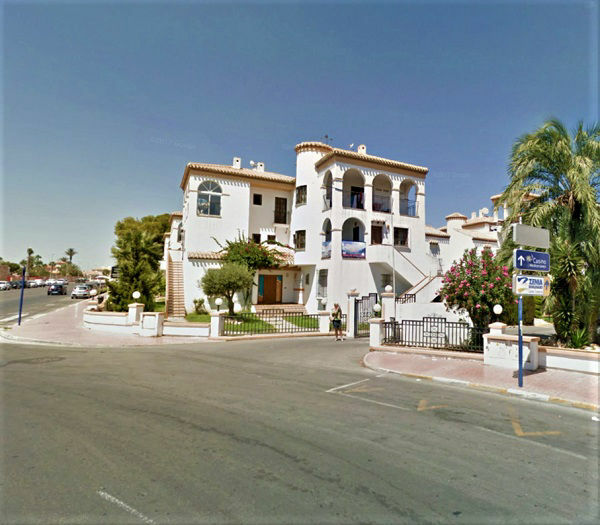 The Playa Flamenca stop is 55 km from Alicante airport with an average journey time of 65 minutes by shuttle and about 45 minutes by taxi, depending on traffic, time of day and other stops along the way when using the shuttle service. Private wheelchair adapted vehicles can also be booked online with SOUTH CONNECT. Alicante Airport Transfers to and from Pilar de la Horadada by Daily Shuttle from 24€, Private from 80€.